Medium height pillows 50x80 cm for sleeping in popular children’s beds with barriers or panel covers on both sides with a mattress 80-90 cm wide. 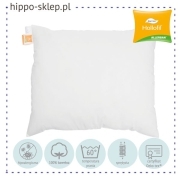 Comfortable pillows 50/80 cm for older children from 4 years, made of natural materials (down and feathers) or hypoallergenic synthetic fibers. 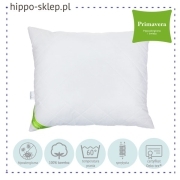 Here you can find 80x50 pillows for allergic children with Hollofil Allerban anti-mite inserts, basic 80/50 Sensidream pillow collection or Primavera 50×80 pillow with pure cotton cover. For those who prefer sleeping on the stomach, we recommend adjustable 50×80 pillows with possibility of adding or removing inserted fibers.